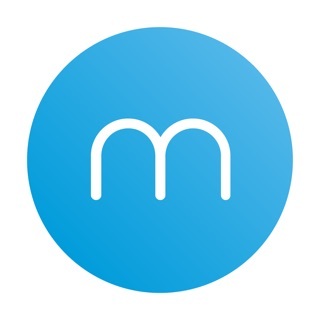 #Featured in Macworld and the Washington Post! 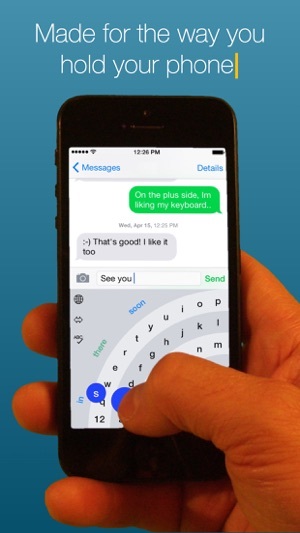 Thumbly is an iPhone keyboard designed to be used with one hand. Standard mobile keyboards are awkward to use, requiring two thumbs to reach all the keys and involve uncomfortable thumb gymnastics. Thumbly's keys are ergonomically arranged and are easily reached with one thumb using a comfortable side-to-side motion. 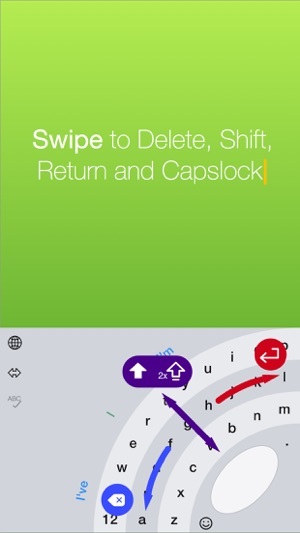 - Swipe to delete, return, shift and capslock. 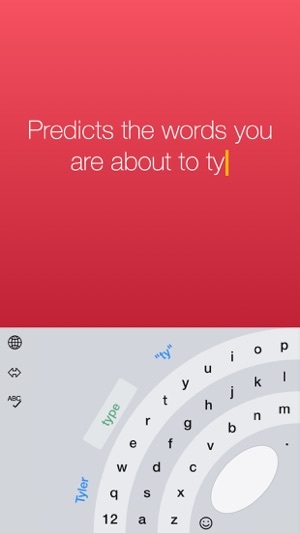 - Suggests the next word you will type based on what you have already typed. 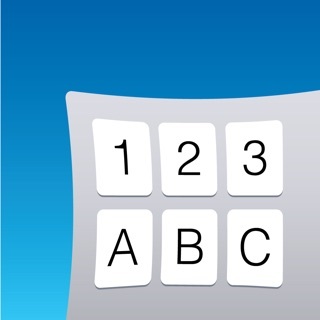 - Allows you to select between left handed and right handed versions of the keyboard via a button "toggle" press. - Misspelled words are automatically corrected. - Unknown words appear in quotes as a suggestion. Selecting this suggestion causes the word to be recorded for the future use of the spell checker. - Easily accessible list of curated emoji. - Disable autocorrect at will. - Fixes bug were long pressing the period key on the right handed version of the keyboard did not bring up the secondary menu as expected. - Fixes bug where the secondary menu for the "o" key was cut off at the top of the keyboard. 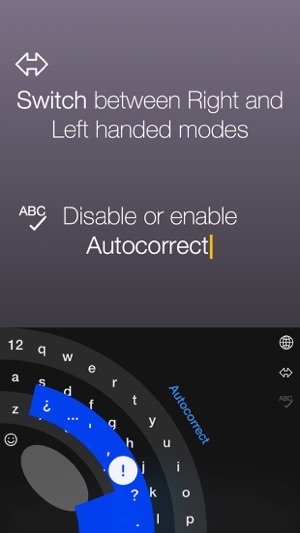 This did does not do the swipe to text feature and merely shifts the keys to repute type. I'm sure that this is sufficient for a good number of people but if you were hoping for a proper replacement to the now defunct word flow keyboard as I was, this is not it. Have it four stars because it never claimed to be a replacement for it, but the swipe features seem strange if they're trying to save space in the keyboard when it already takes so much of the screen. Some clever features. But why add a second period if I double-space after the end of a sentence?. See? Why no semicolon? I agree with the review requesting space around the edges. I'm reusing this app for the first time in a while. I am transcribing, and this saves so much wear and tear on my wrists. I can type one-handed, and control replay of audio with my other hand. Economy of movement. I agree I need to avoid typing multiple periods when you space multiple times. This is on the short list of things I need to fix :) The semicolon can be typed by long pressing the ":" button in the number section. Thanks so much for giving me the feedback! I love this app it makes it super easy to shoot off a quick text when I’m doing something and can only use one hand. But there is one tiny problem that does ruin it, thats is i can’t use it when my phone is locked. Other then that this is a really good app. Thanks for the feedback! Unfortunately Apple doesn't allow custom keyboards while your phone is locked. What you can do is to rest your finger on the home button to unlock the phone. Assuming you are using at least an iPhone 5s (have the fingerprint sensor) and you don't have "Rest Finger to Open" enabled this will unlock the phone, but keep you on the home screen (look at the lock icon at the top of the screen). Once you've done this you should be able to access custom keyboards on this screen.